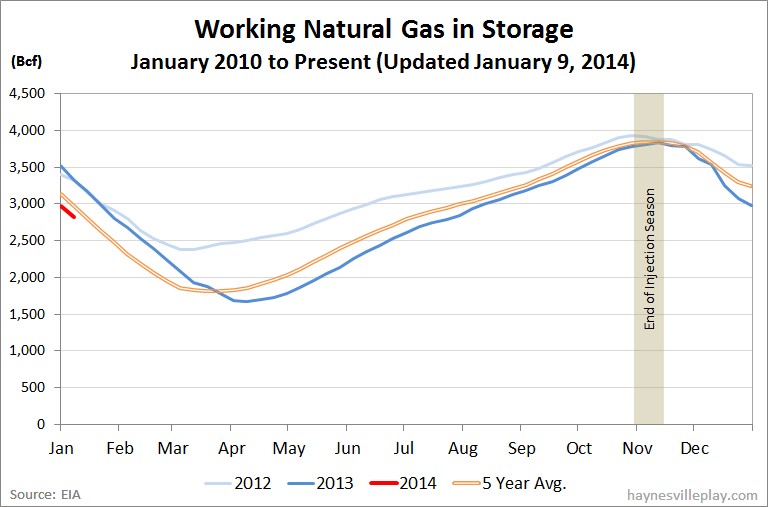 The EIA reported this week that working gas in storage was down 157 Bcf to 2.817 Tcf. The weekly withdrawal was 18% lower than last year (-191 Bcf) but 20% greater than the five year average (-131 Bcf). 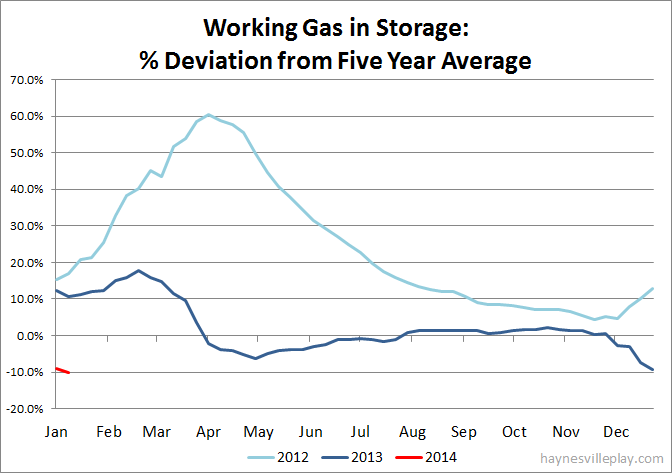 The current storage level is now 15.8% below last year (3.345 Tcf) and 10.1% below the five year average.